Egyptians are well known for their phenomenal architectural inventions, artwork and their beliefs!The Afterlife was the main belief of this civilization which made them famous and thus, they lived up to it! But did you notice one thing that the faces in paintings are profile sided and no depth is provided or drawn in the paintings? Why are there profile-faced figures in the Egyptian paintings? 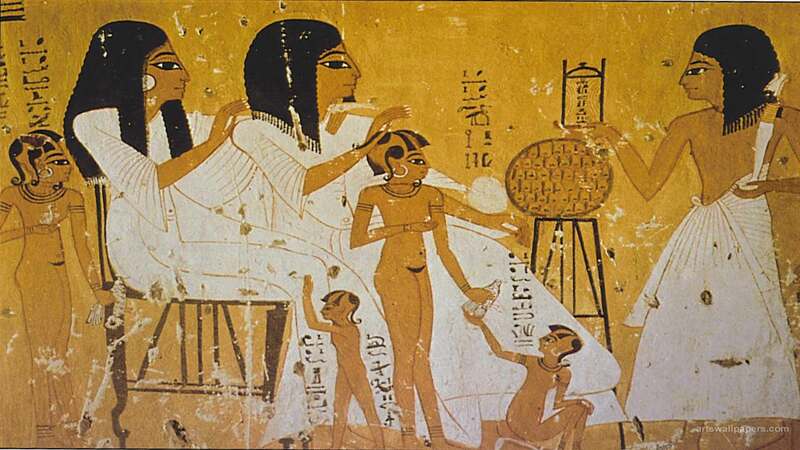 A lot of historians and researchers have commented and posted their reviews about the painting style of Egyptians. There are various reasons which solved the mystery of these paintings. All the Egyptian paintings have been painted in two dimensions but with minute details which depicted the royalty and their high standards. If you have ever visited Egypt, you must’ve observed that the paintings have layers amongst them i.e. they look lively and they are carved and are embellished with real jewels and are enhanced with real details. You can observe that the figures are profile faced and their hands have a funny position which actually look like a dancing pose and there’s also a song whose title is ” Walk like an Egyptian”! Gotta hear it out, mate !! In the later period, Egyptians had invented an excellent method of getting rid of the third dimension and converting it to two-dimensional portraits. Although the Egyptians were an ancient civilization which emerged as an important and a developed empire, they lacked into understanding the dimensional characters and thus, tried to invent new methods of converting the dimensions! Egyptians have always fascinated every single person on this crazy planet by their culture, food, clothing and most of all, their lifestyle! There are a lot of people who have actually fantasized about being a Pharaoh, or even for that matters, a Queen! These two reasons have been claimed and approved by the archaeology sectors worldwide, but the exact reason hasn’t been explained well. Even if there was no third dimension in the paintings, but have you ever wondered what really makes these paintings special? So basically Egyptians were smart and trust me, they have created their own style of paintings and they are famous on a global level. Aspiring Product designer,love to dance, sketch, paint and a lot of things. Trained dancer and sculptor. Writing and reading is my passion.